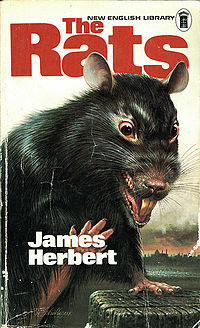 James Herbert died today. He was sixty-nine years old. My dad was a fan. In fact Moon and The Magic Cottage are probably the only two novels I saw him read. Ever. Years later – when I read both of these for myself – I thought if that was as far as my dad dipped his toe into the library of books the world had to offer, he could have done a lot worse. I read a dozen of Herbert’s novels, and while he didn’t hit the nail squarely on the head each time, he was one of the few authors I would keep going back to every now and then, because he could always be relied upon to deliver a good, solid story, and I knew that he was capable of great things. The Fog is one of my favourite books of any genre, and definitely in the top handful of horror tales I have ever read. He is often – unfairly, in my opinion – compared to Stephen King; partly because they both had their first novels published in 1974, but mostly because they both wrote broadly in the horror genre, albeit on opposite sides of the Atlantic pond. But the similarities really end there. Herbert was (almost exclusively) a balls-to-the-wall horror writer, and he didn’t pull any punches with his prose. Having said that, he was never gratuitous just for the sake of it, and he didn’t care about cheap shocks either. He wrote it that way because that’s how he saw it, and I have always admired him for that. Rest in peace, James: you will be missed. This entry was posted in Writing and tagged horror, James Herbert, Moon, Stephen King, The Fog, The Magic Cottage, The Rats on March 20, 2013 by Brian G Ross.